ST. GEORGE — Seven elite Ironman athletes met the public in a pro panel press conference in St. George’s Town Square Park Thursday. 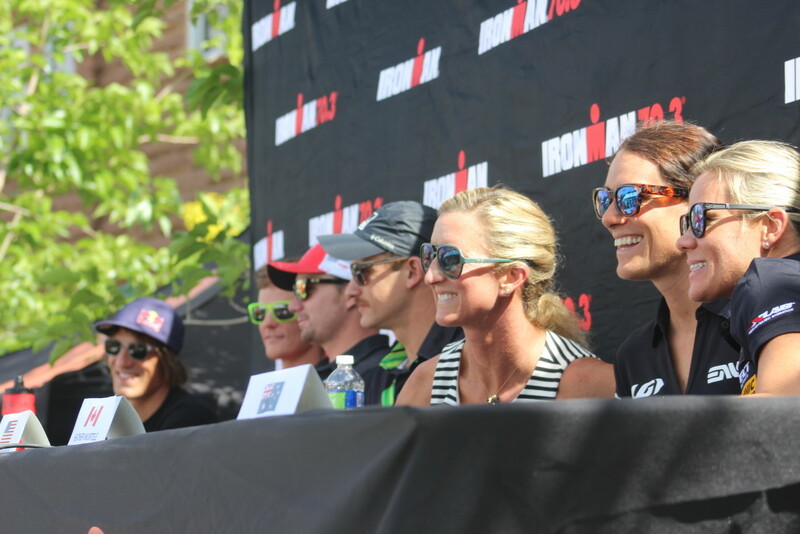 The athletes, who are in town for the 2016 Ironman 70.3 North American Pro Championship St. George, addressed a variety of topics ranging from training to pre-race rituals. 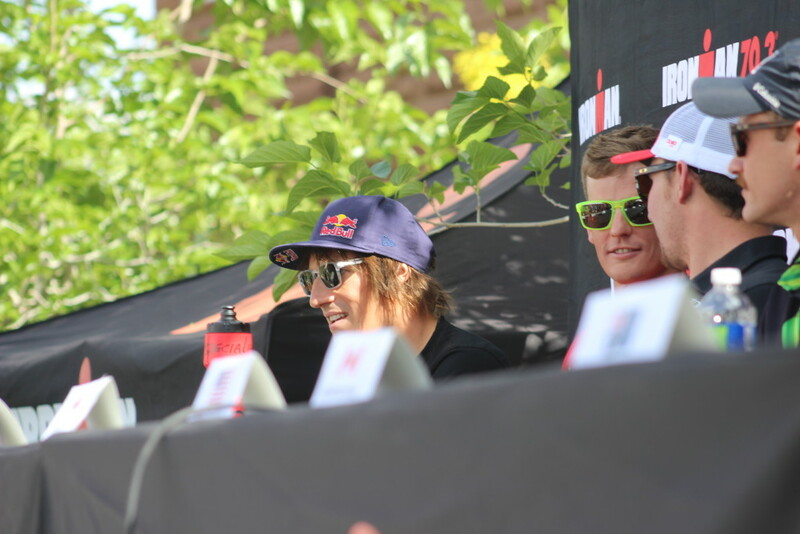 Sebastian Kienle, Brent McMahon, Ben Hoffman, Lionel Sanders, Meredith Kessler, Heather Wurtele and Mirinda Carfrae were introduced to an enthusiastic crowd on the lawn in Town Square. 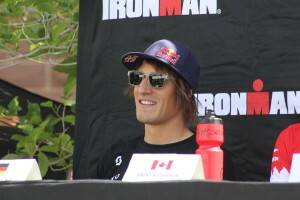 Kienle hails from Germany; McMahon, Sanders and Wurtele from Canada; Hoffman and Kessler from the United States and Carfrae from Australia. Two of the women — Kessler and Wurtele — have combined to win the last six St. George Ironman competitions. Despite the rivalry, the two displayed respect, admiration and friendship towards one another. Kessler said that during one of the years she won, Wurtele was not competing and cheered her on. She also said this year was the tiebreaker to see who could break the deadlock of three wins apiece. 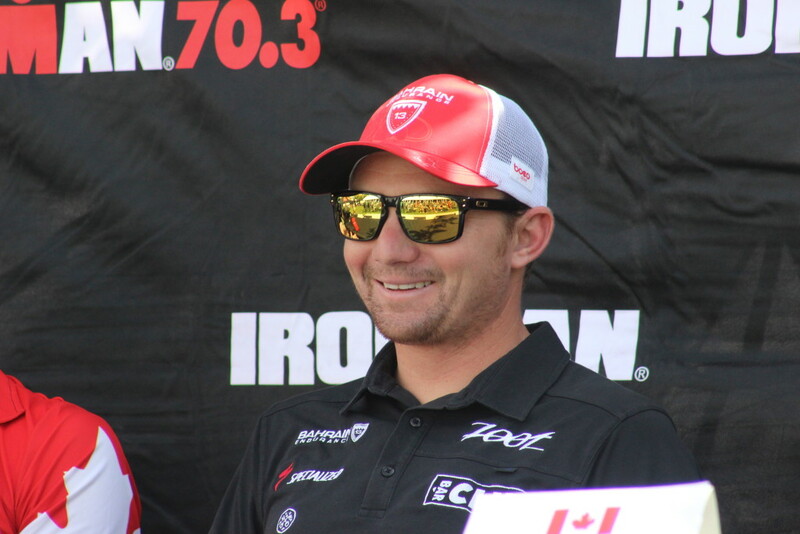 Both Kessler and Wurtele said they enjoyed watching the St. George Ironman grow from its humble beginnings to its current status as the North American Pro Championship. 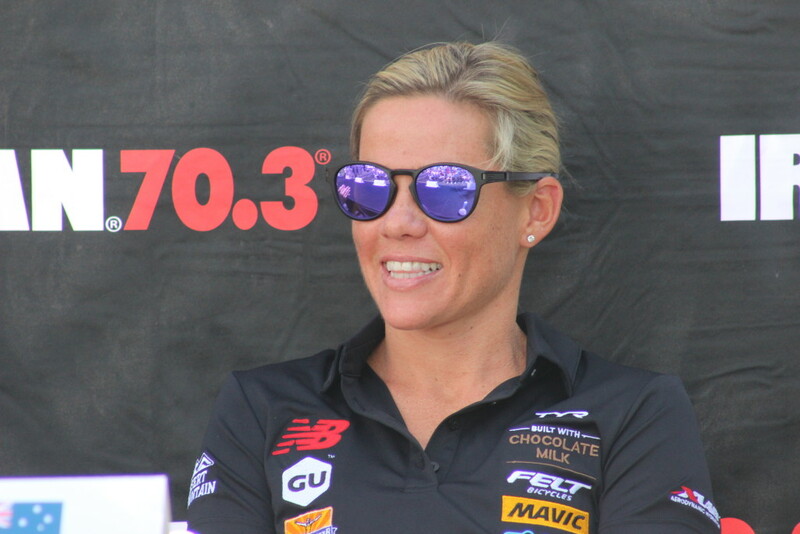 Carfrae said she doesn’t know if she will be able to break up the St. George Ironman dominance of Kessler and Wurtele. One aspect of the St. George race all the athletes agreed on is the hospitality shown them by the residents of the area. 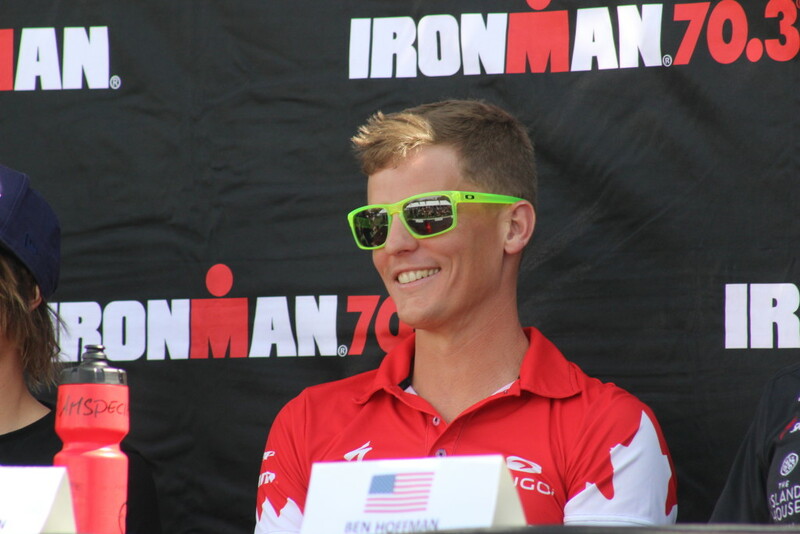 Hoffman was fresh off his victory at the Ironman South Africa just weeks earlier. 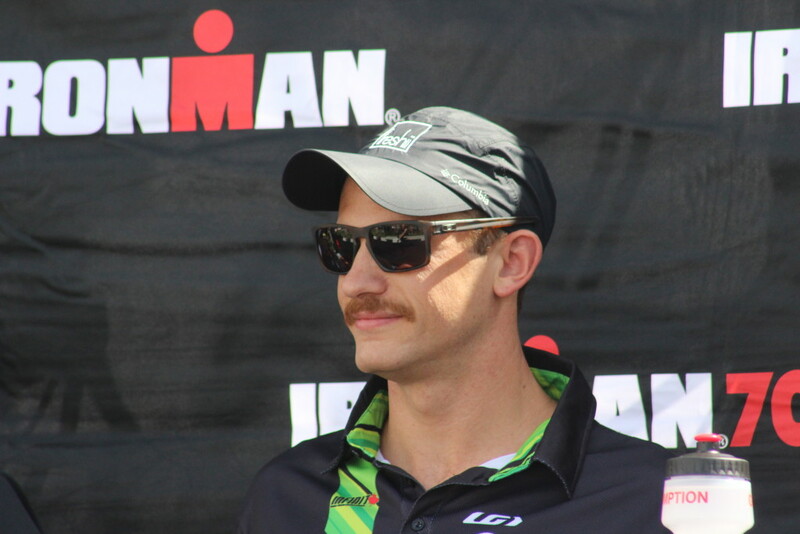 Despite having raced an Ironman event less than one month prior to the St George race, he said he feels ready mentally and physically. 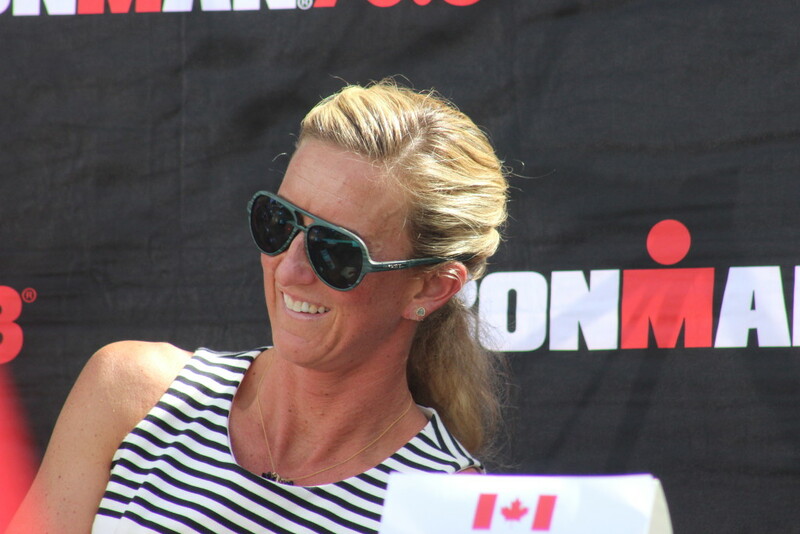 Sanders has been on a winning streak this Ironman season, racking up wins at the Ironman 70.3 California, Ironman 70.3 Texas (two weeks prior to Ironman 70.3 St. George) and the Ironman 70.3 Panama. Despite his recent dominance, Sanders said that his winning streak also causes more psychological pressure to succeed. The St. George race holds a special place in his heart, he said. When he first competed in the race in 2014, he finished 18th, more than 10 minutes behind the leaders. From that loss, he learned humility, he said, and he also changed his mindset. McMahon said that his sole focus is in mastering the difficult course not on beating his opponents. Some of the athletes talked about pre-race rituals they use to prepare themselves for the race. McMahon said he spends the night before the race making a detailed itinerary for the morning of the race, working backwards from the start of the event until his wake up time. Wurtele said she tries to keep her nerves under control by going for a light jog and making preparations with her husband, Trevor, who is also a pro athlete. 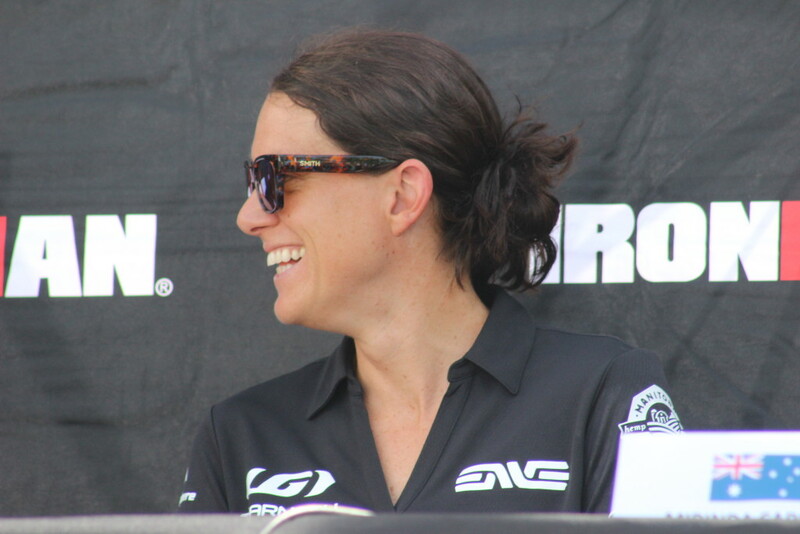 Kessler said that while she has no plans to slow down despite being 37 years old, she acknowledges that if injury ever prevents her from racing, she would heed the call of nature. “I think the lens I look through, that will be the universe’s way of telling me ‘well, it’s time to bust out a kid,'” she said, drawing cheers and laughter from the audience. Throw out your expectations of time. A lot of people try and carry their half-Ironman time from one race to the next. You have to realize that this course is unlike any other and not only is it at altitude, it’s a lot altitude (gain) on the bike, but then there’s a lot of altitude on the run, so don’t come in thinking about your past times and your past efforts. Try and take this as a unique effort and a new challenge, and importantly, pace it. The Ironman 70.3 St. George begins Saturday at 7 a.m. at Sand Hollow State Park.